Master Sgt. 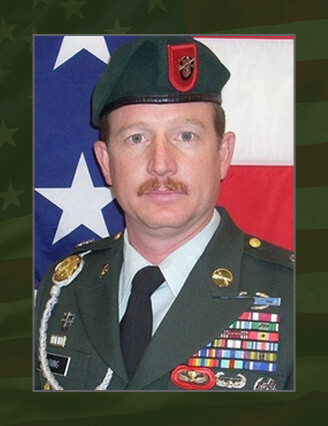 Mitchell W. Young, 39, was killed July 13 while conducting a combat reconnaissance patrol in the vicinity of Kajaki Sofla, eastern Helmand province, Afghanistan, in support of combat operations while serving with Company B, 1st Battalion, 7th Special Forces Group (Airborne). He deployed in support of Operation Enduring Freedom in May 2008 as a member of the Combined Joint Special Operations Task Force – Afghanistan. This was his fourth deployment in support of the Global War on Terror and third deployment to Afghanistan. He was a Special Forces Operational Detachment-Alpha team sergeant. Young, a native of Jonesboro, Ga., volunteered for military service and entered the Army in January 1991 as an infantryman. After basic and advanced individual training at Fort Benning, Ga., he was assigned to Co. A, 3rd Bn., 27th Infantry Regiment at Fort Ord, Calif. In 1993 he became a squad leader when he moved to 3rd Bn., 502nd Inf. Regiment. at Fort Campbell, Ky. In 1995 he moved to Germany and was assigned to Co. B, 1st Bn., 4th Inf. Regiment. Young began the Special Forces Qualification Course and he earned the coveted “Green Beret” in 1999 and was assigned to 2nd Bn., 3rd SFG(A) at Fort Bragg, N.C., as a Special Forces Operational Detachment-Alpha communications sergeant. He left 3rd SFG(A) in 2004 to become a team sergeant at the United States Army Tactical Review Board, Fort Bragg, N.C. He was assigned to his current position at 1st Bn., 7th SFG(A) in October 2007. Young’s military education includes; the Advanced Noncommissioned Officer Course, Basic Noncommissioned Officer Course, Jumpmaster Course, Survival, Evasion, Resistance and Escape Course, Basic Airborne Course, Air Assault Course, Warrior Leaders Course, and Special Forces Qualification Course. His awards and decorations include three Bronze Star Medals, Purple Heart Medal, two Meritorious Service Medals, Joint Service Commendation Medal, three Army Commendation Medals, two Army Achievement Medals, four Army Good Conduct Medals, National Defense Service Medal, Armed Forces Expeditionary Medal, Afghanistan Campaign Medal, Iraq Campaign Medal, Global War on Terrorism Expeditionary Medal, Global War on Terrorism Service Medal, Humanitarian Service Medal, Noncommissioned Officer Professional Development Ribbon, Army Service Ribbon, Overseas Service Ribbon, NATO Medial, Combat Infantryman Badge, Expert Infantryman Badge, Parachutist Badge, Air Assault Badge and the Special Forces Tab.